More people need to see Obama’s mosque speech. 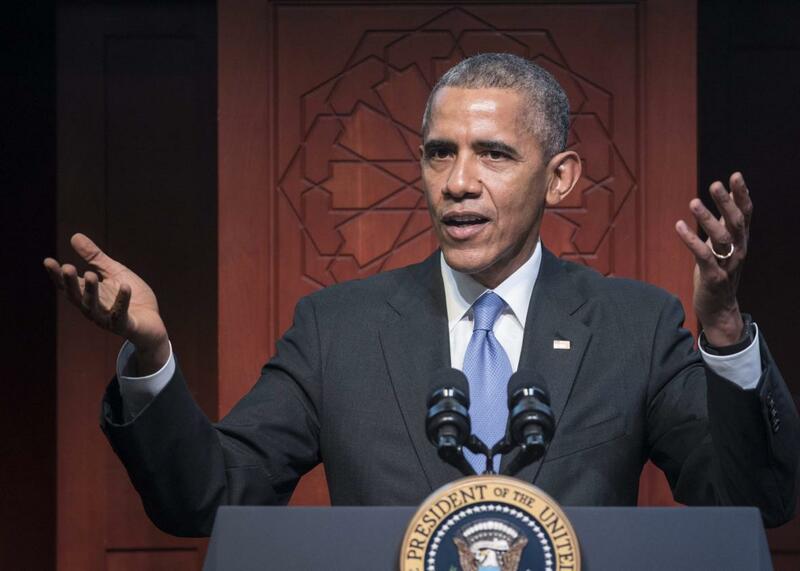 Obama’s Mosque Speech Was Powerful, Important, and Honest. It’s a Shame More People Didn’t See It. President Barack Obama speaks at the Islamic Society of Baltimore, in Windsor Mill, Maryland, on Feb. 3, 2016. Over the course of his presidency, Barack Obama has visited several of the grandest mosques in the world—the National Grand Mosque of Malaysia, the Blue Mosque in Istanbul, the Sultan Hassan Mosque in Cairo—but on Wednesday in Baltimore, he made his first ever address from inside a U.S. mosque. Typical of an Obama speech, it left me, an American Muslim, feeling excited and understood. But American Muslims aren’t the real audience for the sorely needed message he was trying to deliver, one of inclusion and peace in a time of division and anger. He also described how fearmongers like Donald Trump—who was not named—use “inexcusable” rhetoric to metaphorically strip Muslims of their citizenship and supply recruiting tools to our enemies. He gave credit to the American Muslims in our armed forces, many of whom are buried in Arlington National Cemetery. He also praised Ibtihaj Muhammad, an American fencing champion who will be representing the United States in the upcoming Olympics sporting a hijab, the Muslim head covering. But as amazing as it was to hear the most powerful man in the world insist that Muslims shouldn’t be required to choose between their Muslim and American identities, this is something Muslims already know. We know that, as Obama said, there ought to be Muslim characters in television shows that aren’t about national security. The people who don’t know this already are those who are attending Trump’s rallies, propagating stereotypes about Muslim Americans, and sadly probably not listening to what Obama had to say on the subject. For his part, Obama exhibited a much deeper understanding of Islam than those who perpetrate war in its name. He quoted a verse from the Quran that teaches its adherents “whoever kills an innocent it is as if he has killed all man-kind,” a passage that deserves to be definitive of the religion rather than images of ISIS’s crimes. During a time when the fear surrounding my faith is at its peak, the leader of our nation stood proudly in the house of Allah and spoke directly to those at the root of what makes the Muslim American experience so complex. It needed a wider audience.